Join Sustain Dane for a unique twist on Adult Swim! Our sixth annual green-themed carnival highlights the lighter side of sustainability through carnival games, upcycled fashion and art, carnival-inspired local food, live music, and more. Hey, Mooch — hear this ballyhoo! Join us for a unique twist on Adult Swim! Our sixth annual green-themed carnival highlights the lighter side of sustainability through carnival games, upcycled fashion and art, carnival-inspired local food, live music, and more. Sustainability Squabble: Survey says…put your best team together for a round of Family Feud with a green twist (7:00). Barker Bonanza Open Mic: mesmerize the crowd with a dramatic telling of your own sustainability sins to win the Sustainability Epic Fail trophy (8:00). Trashion Fashion: come dressed to impress in upcycled finery, or make your own trashion accessories in the Art Studio to be runway ready for our Trashion Show (9:00). Tunes: Live music by the Rohnellaros, who tap their unbridled renewable energy to accompany the fun. Skill Joints: get crafty with upcycled felted sweaters, play a round of Climate Change MadLibs, visit the “Guess Your Carbon Footprint” Booth, compete for white elephant arcade prizes and more! Eats: Epicurean popcorn bar (included with admission). Pizza and carnival snacks available for purchase. Booze: Beer, wine, and signature cocktail available for purchase. 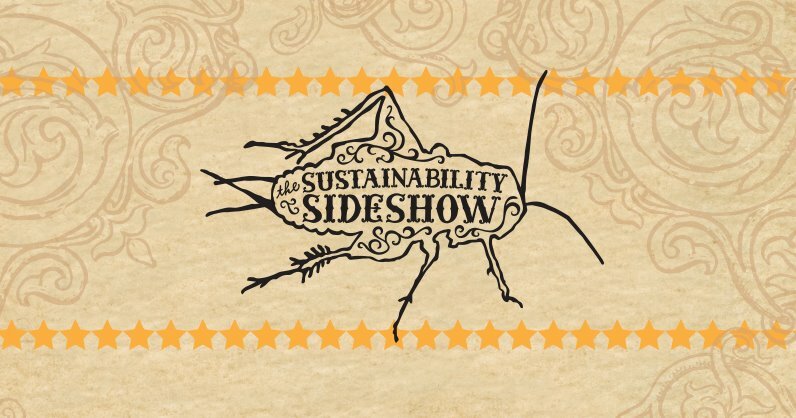 The Sustainability Sideshow is a joint fundraiser for Sustain Dane and Madison Children’s Museum. $12.75 advance/$15 day of event. No zamps for punks – strictly 21 & up.